The beauty of this salsa is that it has flavor too, it’s not just pure heat. 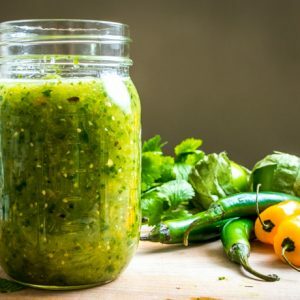 Yes, the heat will sneak up on you like a hungry bear, but the first taste is a rich, roasted salsa verde. The star here is the habanero pepper. 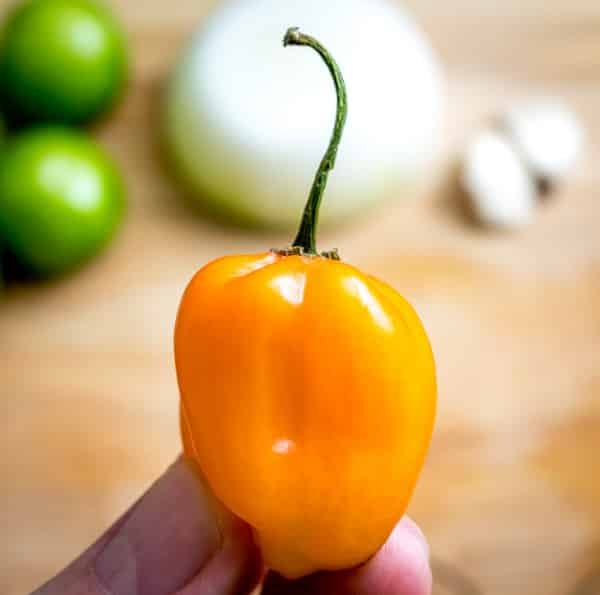 Habaneros have extremely high levels of capsaicin — upwards of 15-20 times the amount of capsaicin in a jalapeno. When they’re ripe they turn orange so that’s how you’ll usually find them in the markets. You can also get them in dried form. 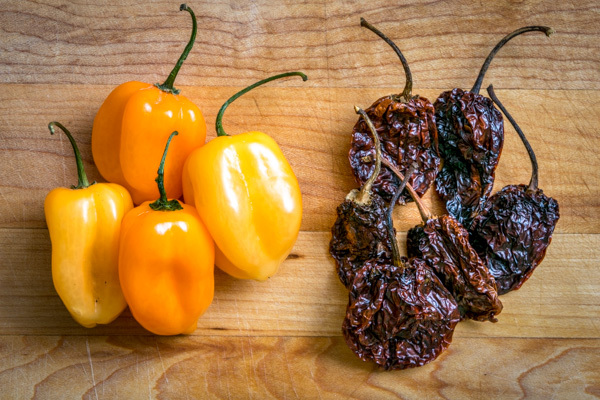 The warning you’ll hear about taking caution when handling chili peppers applies even more so with habaneros. Wash hands thoroughly after using, and try not to touch your eyes or nose when handling them. 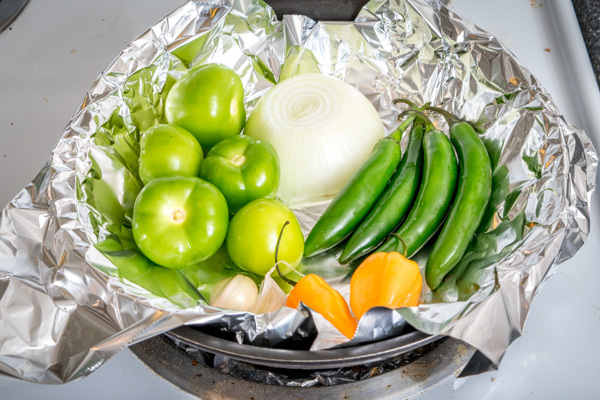 Roasting the ingredients really brings out their flavor, so we’ll start with that by using a foil-lined skillet on medium-high heat. The idea is to get heat coursing through the ingredients to enrich their flavor. Turning them every few minutes helps with this. Some will take longer than others. For example, the more fragile habaneros need less time in the heat than the tomatillos. Pulse blend and serve immediately. You can taste for heat but most likely it will be enough. Just to give you an idea of the heat level…. 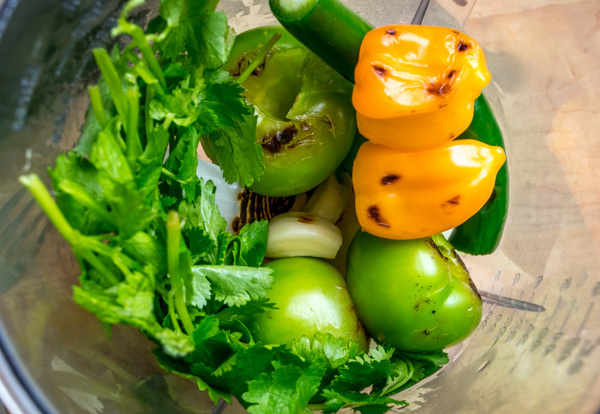 A properly balanced salsa verde starts with one half of a serrano pepper for most people. 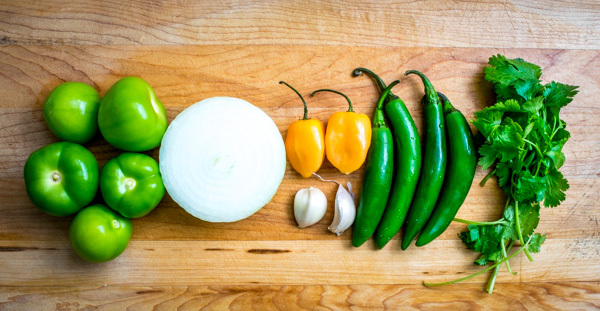 Here we are using 4 serranos, plus the 2 habaneros, so it will definitely be hot. Of course, if you have professionals in attendance you can always add more habaneros. 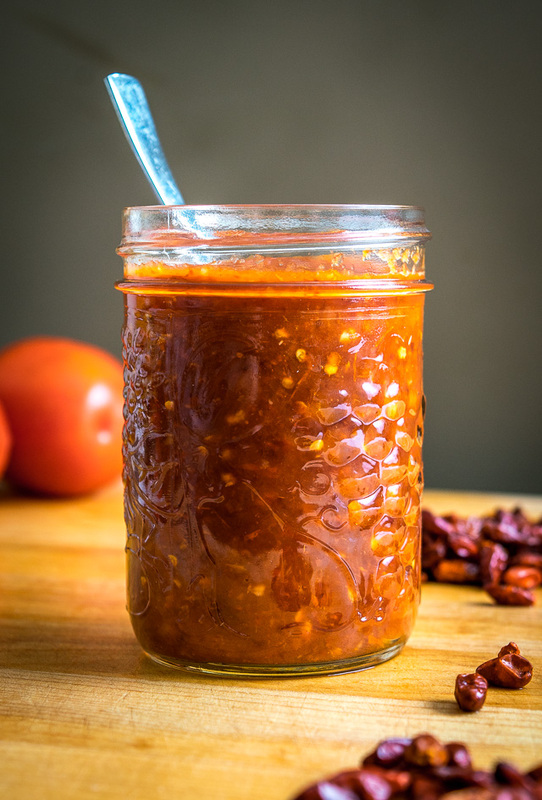 Having a bowl of this Fire Salsa on the serving table is great for big groups and parties. Already got some of these ingredients on hand? Here are the other Mexican recipes you can make. 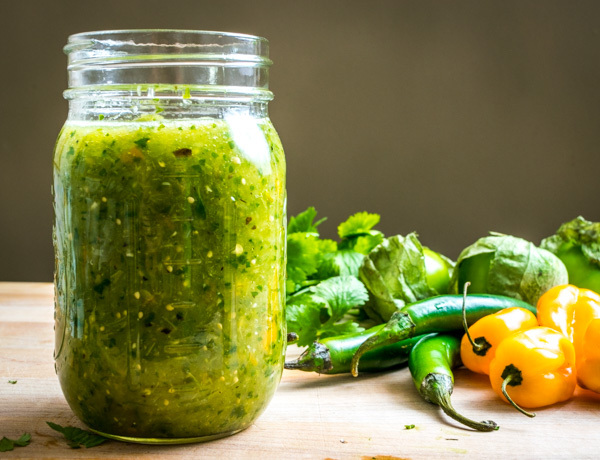 A great salsa that will forever answer the question "Got anything hotter?" The smaller ingredients might be done earlier. 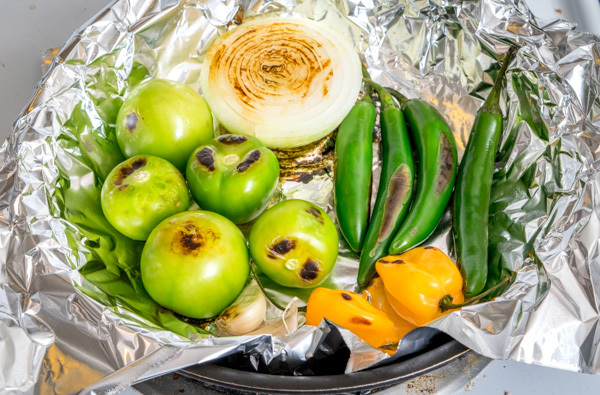 For example, take off the habaneros if they start to char heavily. Some of the ingredients will be 'done' before others. You can pull them out of the skillet if they start to char considerably. If you roast the garlic with the skin on, squeeze when done and the clove will pop out of the skin. Add additional habaneros if you want even more heat. Like hot stuff? 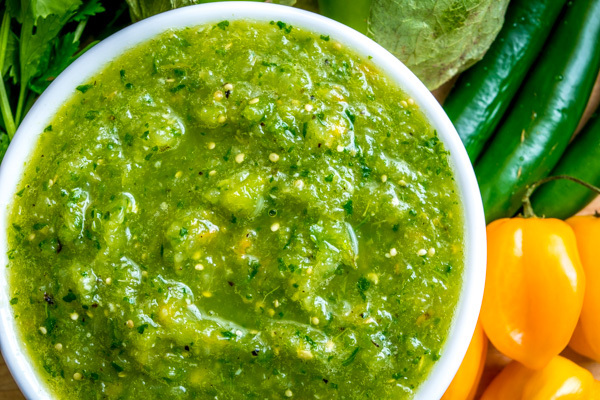 You might also like our Salsa Verde and our Chile Pequin Salsa. Perfect, follow the instructions exactly. Hot but a ton of flavor. Thanks again Patrick!